Are you ready for a major upgrade to a new mid-size sedan that features the latest hybrid technology? If so, then you have got to see the Honda Accord Hybrid. This new hybrid mid-size sedan offers the best of both worlds: the convenience and practicality of a mid-size car with the fuel efficiency of a hybrid. Based on the highly popular and well-appointed conventional gasoline-engine Accord, the Accord Hybrid adds even better fuel economy and value to this winning package. This stunning hybrid mid-size sedan proves that you do not have to give up style or substance when choosing to drive a hybrid! If you live near the communities of Nashville, Shelbyville, and Franklin, explore the stylish and efficient Accord Hybrid at Honda of Murfreesboro in Murfreesboro, TN. The Accord Hybrid has returned for 2017 with an improved hybrid powertrain that provides more power and even better fuel economy than the outgoing Accord Hybrid model, last produced for the 2015 model year. At the heart of the 2017 Honda Accord Hybrid is a 2.4-liter inline-4 engine, connected to a 2-Motor Hybrid System. Honda's industry-first two-motor hybrid system uses one motor to accelerate from a stop and a second motor to start the engine. Engine power is rated at 143 hp and 129 lb.-ft. of torque, while the electric motors alone provide 181 hp and 232 lb.-ft. of torque. Total system horsepower, measured at the peak, concurrent output of the gasoline engine and the electric motor is rated at a highly capable 212 hp, meaning that this hybrid has power that is similar to an Accord V6 sedan. Also standard on every 2017 Accord Hybrid is Honda's Eco Assist System™, including an ECON Button and Eco Coaching. Power is transmitted through an electronic continuously variable transmission (E-CVT) with Sport Mode; Hill Start Assist is also included. With an EPA-estimated fuel economy rating of 49 city/47 highway/48 combined mpg, the 2017 Honda Accord Hybrid is one of the most fuel-efficient hybrid mid-size sedans around. In fact, it is one of the most fuel-efficient cars on the road today -- of any size! To fully appreciate the incredible fuel efficiency, power, and technology of the 2017 Honda Accord Hybrid, you have got to drive one. Come and test drive the new Accord Hybrid at Honda of Murfreesboro. Honda's high-tech 2017 Accord Hybrid sedan is technology-packed inside, too, thanks to its host of innovative technology and driver assist features. Standard on every 2017 Accord Hybrid is Bluetooth wireless technology, an 8-inch display audio system, push button start, and dual-zone automatic climate control system. Active safety technologies that come standard include Multi-Angle Rearview Camera with Guidelines, Collision Mitigation Braking System™ (CMBS™), and Road Departure Mitigation System (RDM). Honda's innovative Honda Sensing™ suite of driver-assist technologies also come standard, which in addition to the CMBS™ and RDM systems, includes a Lane Keeping Assist System (LKAS) and Adaptive Cruise Control (ACC). If that wasn't enough advanced safety and driver assist technologies packed into your new Accord Hybrid, then you will love the standard Honda LaneWatch™ system, which displays live video of your vehicle's passenger-side blind spot whenever you signal right for a lane change. The Honda Accord Hybrid are offered in just three models or trim levels, since most features come as standard equipment. The Hybrid base model is well-appointed, but for an even more luxurious and well-equipped ride, consider the Accord Hybrid EX-L or Touring models. A 10-way power adjustable driver's seat with power lumbar support comes standard on every trim level, while leather-trimmed seating and heated front seats are standard on EX-L and Touring models. Rear passengers can even have warm seats thanks to the optional heated rear outboard seating. In addition to all of the driver assist technologies that come standard, additional convenience features that you will find on every 2017 Accord Hybrid model include power windows with auto-up/down front windows, cruise control, lockable glove compartment, and illuminated steering wheel-mounted controls. If you are concerned about servicing the advanced technologies of the 2017 Honda Accord Hybrid, Honda's superb warranty package should put your mind at ease. 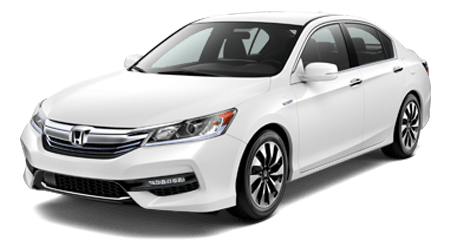 Every new Honda Accord Hybrid comes with Honda's 3-Year/36,000-Mile Limited Overall Vehicle Warranty, along with a 5-Year/60,000-Mile Powertrain Limited Warranty. Honda's Roadside Assistance program provides 24-hour emergency road service available to you in the United States and Canada throughout your 3-year/36,000-mile warranty term. 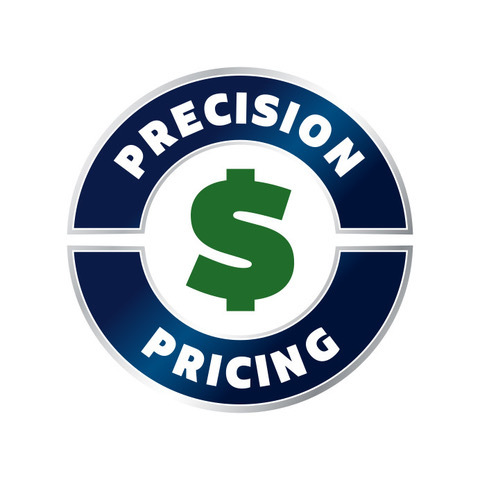 Even though Honda vehicles are well-known for their long-term reliability, it is good to know that you have an extra measure of protection for your vehicle investment! If you are shopping for an incredibly fuel-efficient and stylish new mid-size sedan near Nashville, Shelbyville, and Franklin, visit Honda of Murfreesboro for a test drive of the Honda Accord Hybrid. Once you drive one of these well-appointed sedans, you will want our sales team to help you find a Accord Hybrid that you can call your own! Visit the Honda of Murfreesboro showroom, located at 1625 South Church Street in Murfreesboro, TN, or browse our entire inventory of Accord Hybrid sedans here on our website. *49 city/47 highway/48 combined mpg rating. Based on 2017 EPA mileage ratings. Use for comparison purposes only. Your mileage will vary depending on driving conditions, how you drive and maintain your vehicle, battery-pack age/condition, and other factors.